Home Diseases and Conditions Why is My Tongue Orange? 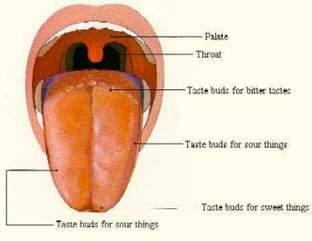 The human tongue is located in the mouth. Besides when you consume certain foods or beverages that may make it turn a different color or stain it temporarily, there are some common conditions which are no threat to your health and other condition that are more serious which may need to be checked by a medical professional and ruled out. If you find your tongue, burning, itching, and you have halitosis (bad breath)- it could be because you have an overload of yeast/candida or thrush of the tongue growing in your mouth. Although it is no cause for great concern, you can actually remedy this by eating yogurt. Yogurt contains active cultures that can kill the growth of yeast and actually promote better oral health. be sure to eat the yogurt regularly for about a week and you will notice a big difference. Exposure to airborne toxins, pollutants and molds can cause your tongue to take on an orangish color-hue. Even though it is not too threatening to your life, you should treat this by taking an anti-fungal medication or gargling with grapefruit seed oil 2x a day. One of the things though that is important about having an orange tongue is that if it continues you need to get the environment checked for mold that can also cause other health threats. Medication, some antibiotics and other types of medication can cause a side effect of changing the color of the tongue to orange. Although it is uncommon, most medications like pyridium used to treat urinary pain can cause saliva and the tongue to become orange-tinged. You can ride out the course of the medication as long as the medication is not causing any other adverse side effects. Stomach acid, problems with digestion such as indigestion and heartburn can make the tongue discolored. Chronic GERD and reflux can cause acid from the gut to return into the oral cavity by the tongue. The easiest way to fix this is to just take OTC anti-acids such as tums, Maalox, pepto, and prevacid to control the reflux of acid. Probiotics: Probiotics are supplements you can find at health food stores. They can be taken regularly once or twice each day to keep you healthy. They are known to help prevent excess yeast from forming in the system as well as helping to aid the digestive system in processing chemicals that can cause you to be ill. Herbs and Supplements that have anti-fungal properties: Try natural anti-fungal foods that can help prevent growth of yeast and other types of fungis that can inhabit the oral cavity and your tongue. Foods such as herbs basil, garlic, tumeric, and more all help to maintain the PH balance of the oral cavity and tongue. Try a Quick Detox Diet: You can try a simple detox diet where you drink lemon juice and avoid all foods that are not fresh fruit and vegetables. This diet can help remove toxins in your system that may be causing your tongue to be orange. There are really no major health threats that can cause your tongue to turn orange. However, if your tongue suddenly changes color without any warning or any other cause that you are aware of- once it is ruled out, you may want to speak to your doctor about it. If not and it is just a temporary result of medication, acid reflux, yeast growth, or exposure to mold in the environments you can utilize anti-fungal foods, medications, and anti-yeast supplements & yogurt to help promote oral health and also to aid your tongue to return to its normal hue.